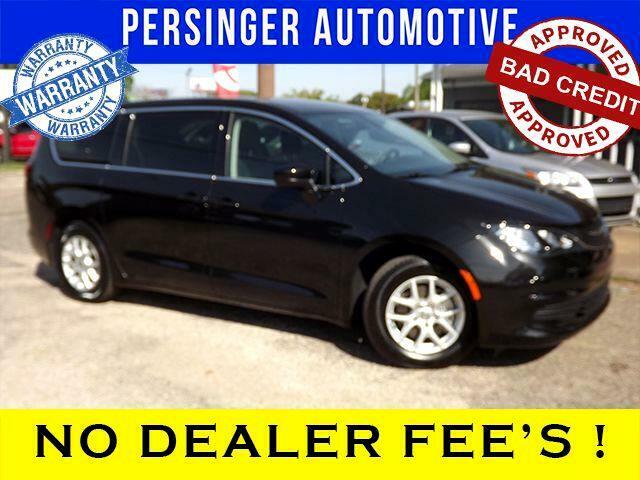 Visit Persinger Automotive online at www.MobileCarsOnline.com to see more pictures of this vehicle or call us at 251-217-2193 today to schedule your test drive. Persinger Automotive has what you want and the financing you need! Everyone rides with guaranteed credit approval! We are one of the only dealers on the gulf coast to offer NO Doc fee or any other hidden fees. Other dealers charge anywhere from $299 to $899 ON TOP of the advertised price. WE DO NOT. And Don’t forget we offer warranties up to 4 years! Payment/down payment based on average credit at an average rate and term, price subject to change without notice. W.A.C Pricing subject to change. Prices include up to $6,500 cash/trade credit. Dealer not responsible for price errors. Persinger Automotive has been open for nearly 20 years and holds close to a 5.0 rating on all social media platforms and an A+ with the BBB. We achieve this by offering some of the nicest used vehicles on the gulf coast, inspecting all vehicle prior to sell, performing preventive maintenance prior to sell, pulling vehicle history reports before taking inventory in and of course offering warranties on everything we sell! Our customers and banks love us because for 20 years of serving South Alabama we have never been the normal car lot. We will not put you in a car you can't afford. We will not put you in a vehicle we wouldn't drive personally.